Take a complete 360 immersive walk through virtual tour of the Curvelle Quaranta. 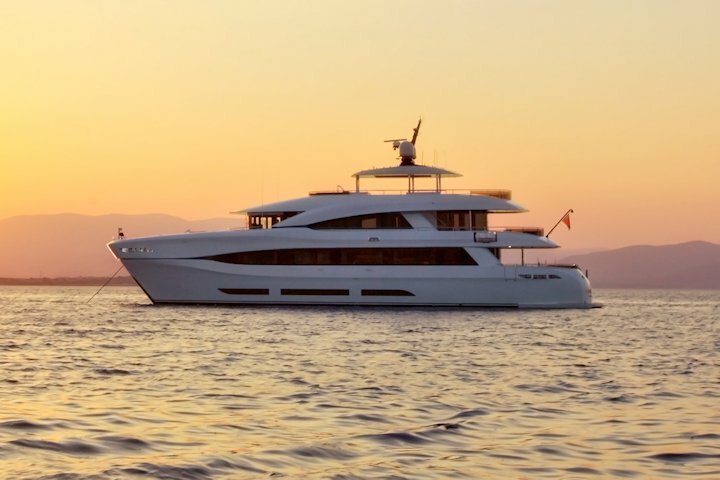 Delivered in spring 2013 , the MY quaranta is our flagship model. This catamaran superyacht features six double cabins all on the main deck, with flexible cabin arrangements and each with a huge window. The saloon, dining room, bridge and aft deck are on the deck above. The top deck offers a Jacuzzi, bar and additional dining area for twelve.